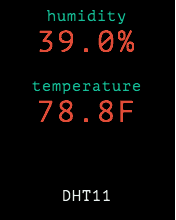 Display readings from humidity sensor. 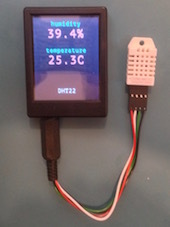 Connect a humidity sensor like DHT11 or DHT22 to your Mono through the jack connector. The jack connector is configured as follows: the tip is positive supply voltage (VCC), the sleeve is negative supply voltage (GND), and the ring next to the sleeve (RING2) is the data line. 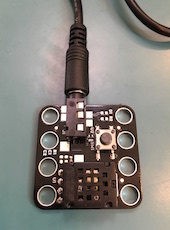 Mono connected to sensor through jack connector. 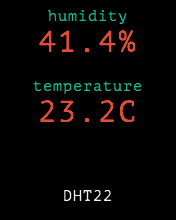 You can also connect a push button between the negative supply voltage (GND) and the ring next to the tip (RING1) to externally switch between the temperature units. 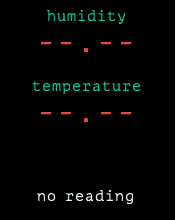 Mono connected to the monoEdu1 board.